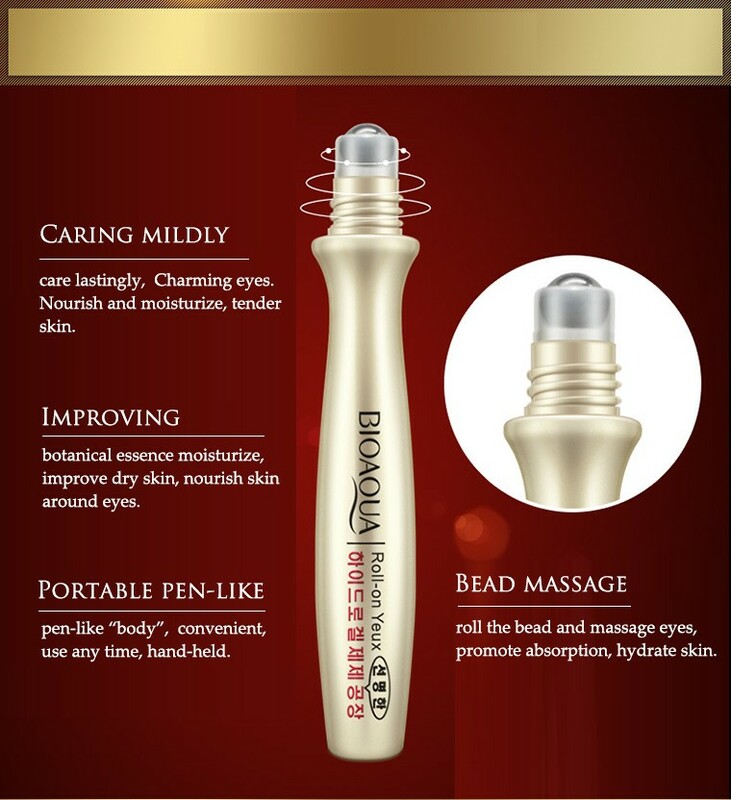 Roll-on bead design, roll the bead and massage eyes, botanic essence moisturizing, nourishing skin around eyes. Skincare around eyes that you should know. 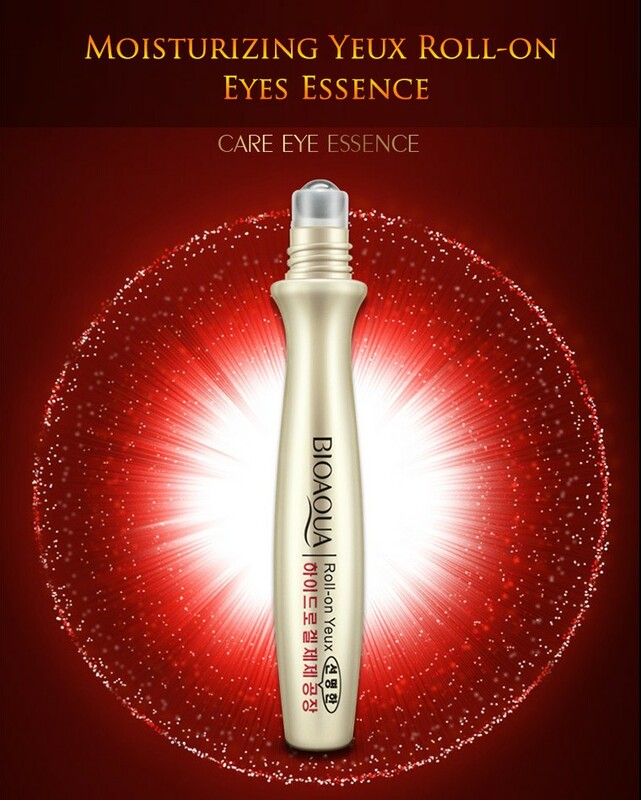 You can use eye essence after 18 years old , this can avoid problems of dry skin. 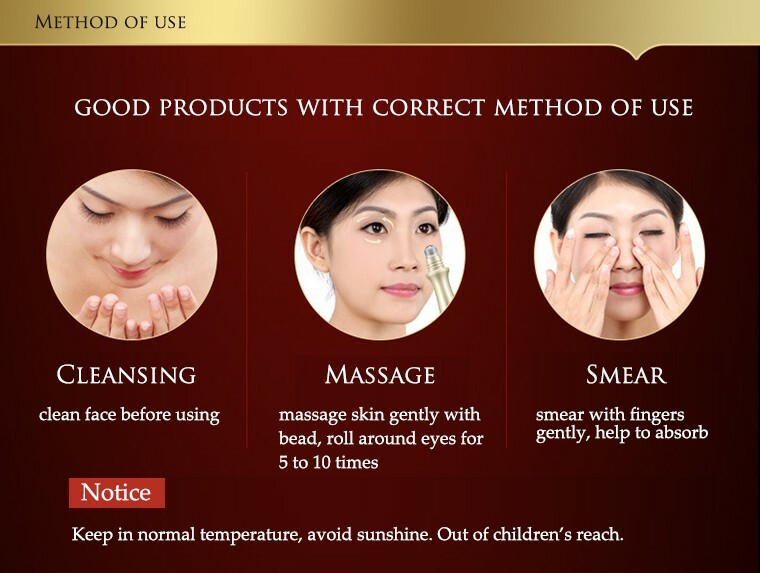 Weak skin, can’t use too much skincare products, avoid much pressure. Caring mildly care lastingly, Charming eyes. Nourish and moisturize, tender skin. Improving botanical essence moisturize, improve dry skin, nourish skin around eyes. Portable pen-like pen-like “body”, convenient, use any time, hand-held. 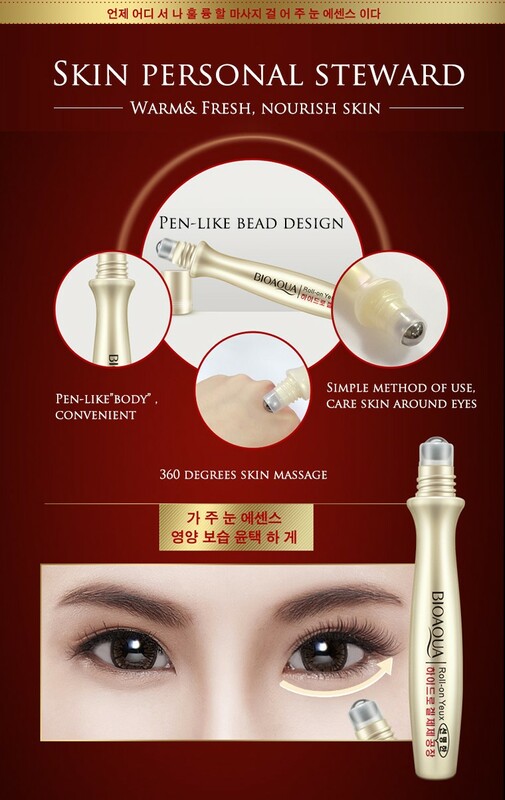 Bead massage roll the bead and massage eyes, promote absorption, hydrate skin. 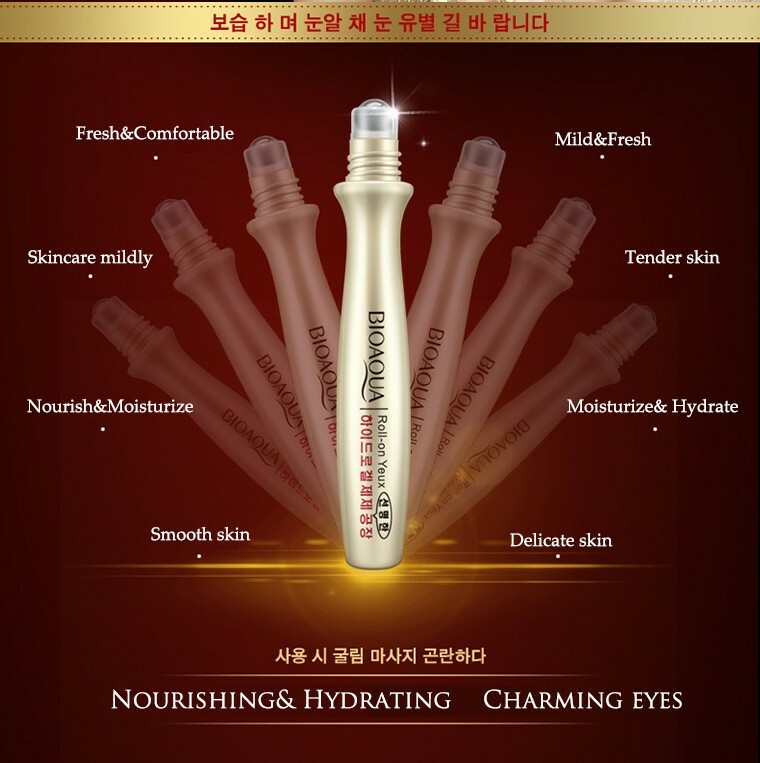 Fine and smooth, full essence, nourish skin, improve drought, blossom charm. 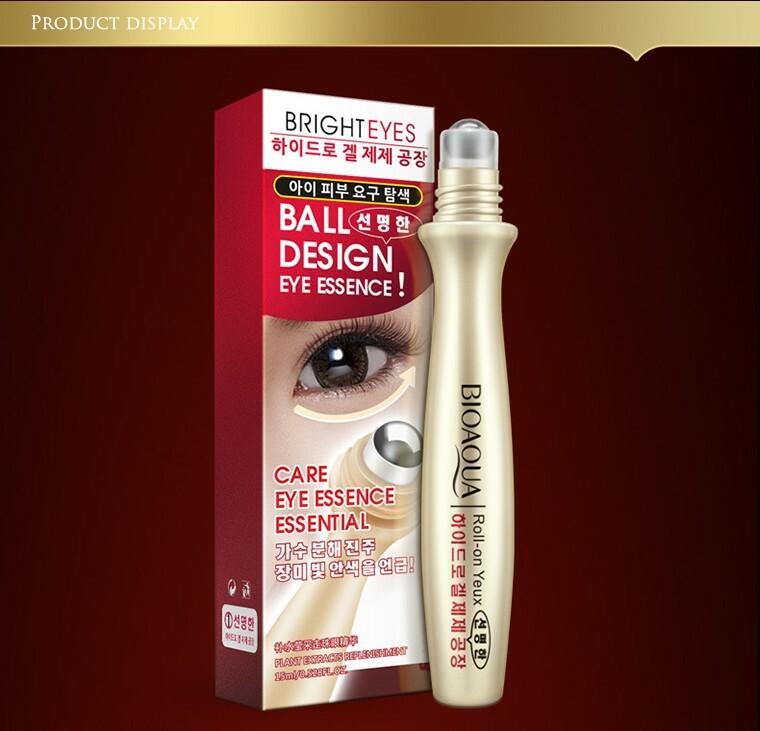 Good eyes essence, fresh & comfortable, roll-on bead design, massage skin anytime. My dreamy eyes essence, bead can massage, fresh&comfortable, faint fragrance, moisturize and nourish skin, small piece is easy to carry. Keep in normal temperature, avoid sunshine. Out of children’s reach.